Guitar players as a rule have lots of friends, that’s a fact. It comes with playing the coolest instrument on the planet. Another fact is that we guitar players all have one friend in common……….MID. Mid is where we live, mid is where the components of our treasured and hard sought out tone come from and most importantly, mid is where we can always be heard. 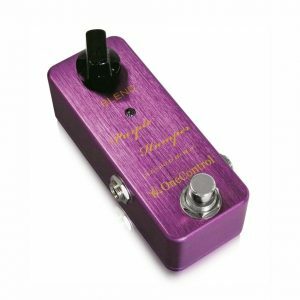 There are many so called mid boost pedals on the market but the Purple Humper from One Control really is like no other mid boost pedal I have tried. Originally the pedal was developed as a request to match the mid-boost circuit fitted inside a stratocaster in a pedal form that could then be used with all guitars. 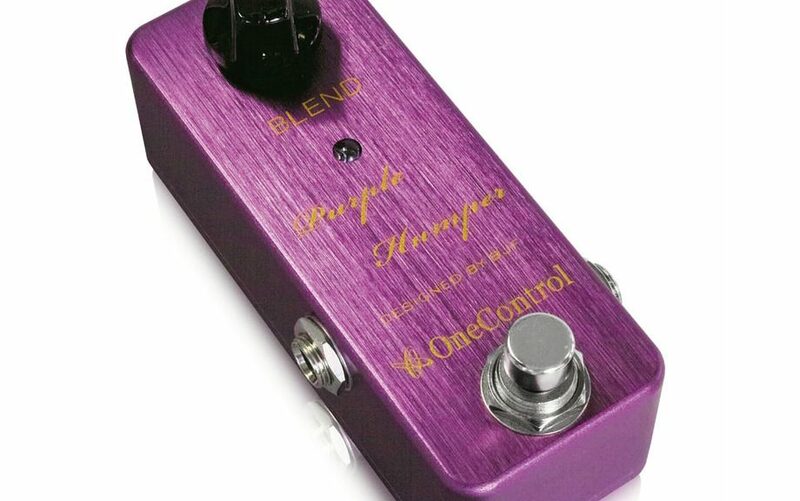 It then developed from there into the pedal that is available today which I have to say is is one of the most versatile single knob pedals I have ever tried. This pedal is neither an overdrive nor one of those half cocked wah wah sound creators (as a side note, if you want that sound use a wah wah!!) One Control themselves state that the pedal sounds “British” and I have to agree wholeheartedly. I have tried this pedal into everything from a basic transistor amp to a rather expensive and tasty valve amp and found the pedal to work in all situations which as we know is not a common experience. It took that hard edge off the transistor amp and gave me a usable tone straight away. Through my cranked JCM 800 I could achieve a fantastic smooth lead tone that after I added a little delay to the tone was just fantastic. Through that same Marshall a twist of the knob gave me that 80’s metal lead tone. So no matter what amp or guitar I tried the pedal gave me usable tones and was a consistently useful pedal that just didn’t sound bad at all. 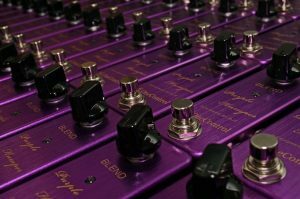 Last test…………….did it play nicely with other pedals? No it doesn’t just like it’s own company as the picture could suggest! This pedal worked incredibly well with every pedal I tried it with from a Friedman Dirty Shirley to a Bogner Blue and an old DOD Chorus. Any where in the signal chain gives you different but ALWAYS usable results. Single coils to humbuckers, solid state to valve, clean to crunch to all out mayhem, this pedal never fails to deliver to add that extra something to your tone. Highly recommended.